Having used Health Systems Evidence (HSE) for compiling research syntheses in both of these roles, it seemed appropriate to share this service with fellow students around the world also interested in drawing from top-quality evidence services. How is Health Systems Evidence funded? HSE is supported by a collaboration between the McMaster Health Forum and four partners: 1) McMaster Health Forum’s Impact Lab; 2) Cochrane Canada and its Policy Liaison Office; 3) Health Information Unit’s McMaster PLUS and McMaster Search Filters; and 4) Rx for Change. 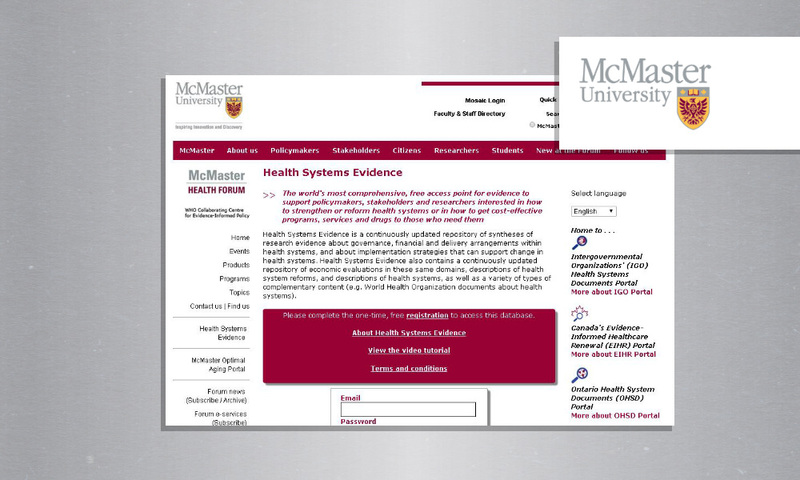 In addition, the translations of Health Systems Evidence into languages other than English and French are made possible by a collaboration between the McMaster Health Forum and five additional partners: 1) WHO Regional Office for the Eastern Mediterranean (for Arabic); 2) American University of Beirut (for Arabic); 3) The Centre for Evidence-Based Medicine, Lanzhou University (for Chinese); 4) Pan American Health Organization (for Portuguese and Spanish); and 5) WHO Regional Office for Europe (for Russian). HSE was also recently featured as one of the seven best databases to use to identify high-quality systematic reviews in an article in Vox about what sites to search for health-related questions. Health Systems Evidence is a one-stop shop for the best available research evidence to support policymakers, stakeholders and researchers interested in how to strengthen or reform health systems or in how to get cost-effective programs, services and drugs to those who need them. Specifically, HSE provides a free and comprehensive inventory of nine types of research evidence, including evidence briefs for policy, overviews of systematic reviews, systematic reviews of effects, systematic reviews addressing other types of questions, systematic reviews in progress, systematic reviews being planned, economic evaluations, health reform descriptions, and health system descriptions. HSE can be used to find evidence on a wide range of health systems-related questions. As research fellows, HSE has also facilitated the process of identifying key systematic reviews for inclusion in evidence briefs, by providing easy access to a comprehensive repository of systematic reviews. Also, we have found it particularly helpful in identifying health-system profiles for assignments that require us to compare and contrast the elements of different systems. In both cases, the tool is very intuitive in that one can not only specify key words, but also sort results by type of document, country of focus, target, and topic. HSE is a resource that is available to you regardless of your timeline. You can spend anywhere from a few minutes to search and scan the results for a time-sensitive topic, or longer if you are interested in learning about the complexities underlying a particular health system issue or question. This database is targeted towards those with an interest in strengthening and reforming health systems, including policymakers, stakeholders, researchers, and students, with the hopes of supporting evidence-informed health systems. specific topic domains (e.g. disease, technology, sector, and provider). 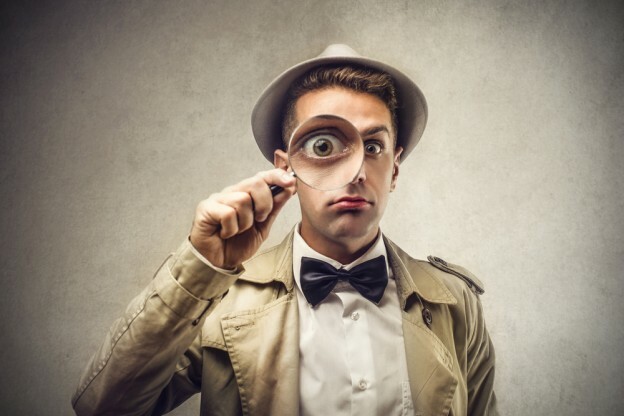 In this way, the Advanced Search is a powerful tool for identifying only the most relevant research evidence pertaining to your topic of interest. listings of the countries in which the studies included in the synthesis were conducted. HSE is a dynamic platform and is constantly changing to better suit user needs. New content is updated regularly, and users can sign up to receive a customized monthly evidence service. This monthly alert can be customized to a specific topic of interest, and might be particularly helpful for students working on long-term projects (e.g., PhD students). HSE is also available in seven languages. As students, we would definitely recommend HSE as an easy-to-use and comprehensive source for research evidence related to all things health systems. Whether you are looking for a health system description to orient yourself to a foreign system, or searching for the cost-effectiveness of a particular health system intervention, HSE is a great place to start. For first-time users, we recommend watching the short video tutorial on the homepage which walks you through the process of conducting open and advanced searches, and efficiently manoeuvring through search results.